There is an amazing wide variety of Middle Eastern desserts. Some of these desserts are very complicated and require a lot of ingredients and preparation, like baklava, knefe and others. On the other had, some of them are simple, easy and quick to made, like the Achtalye I prepare today. 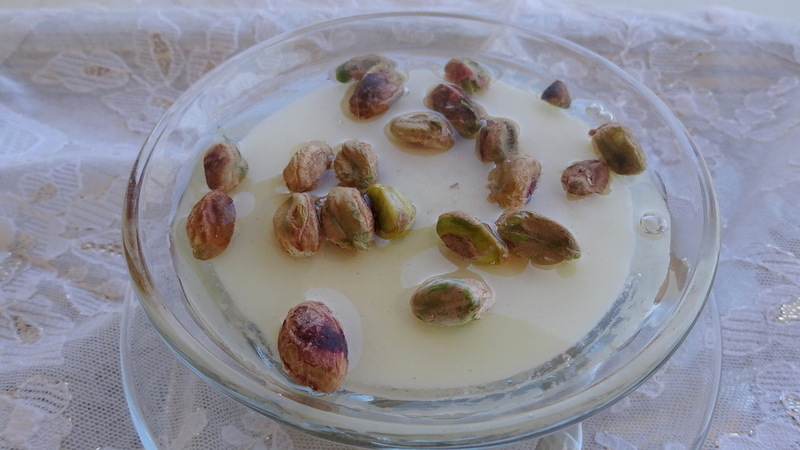 This dessert can be found in Lebanon and in Palestine, and is similar to a dessert to Mhalabiyye, a kind of pudding made out of milk and cornflour. It is very high in calcium so its good for growing children and babies.